A wedding in Shadwell, east London, meant that I had my first trip on the Docklands Light Railway. OK, so the DLR has been open for years, but this was the first time I had been on it. We went for one stop each way from Bank to Shadwell, and back to Tower Hill. 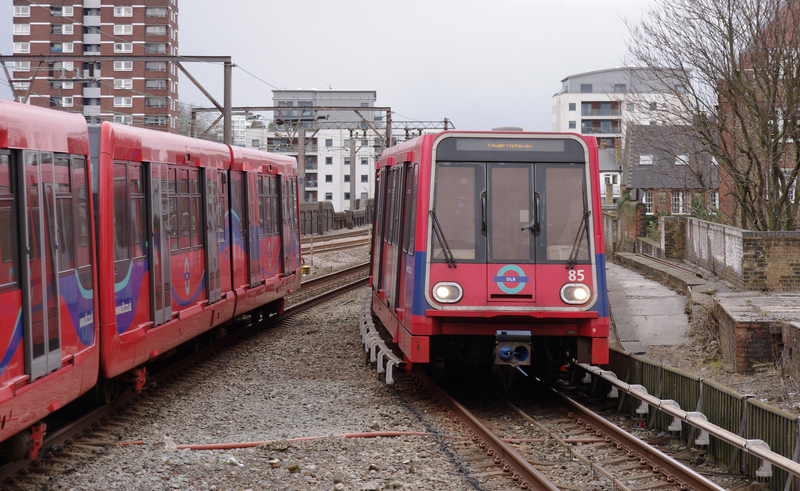 What I loved about the DLR was that since it is driverless, you can sit at the front where the driver would have been, and watch the track unfold in front of you. 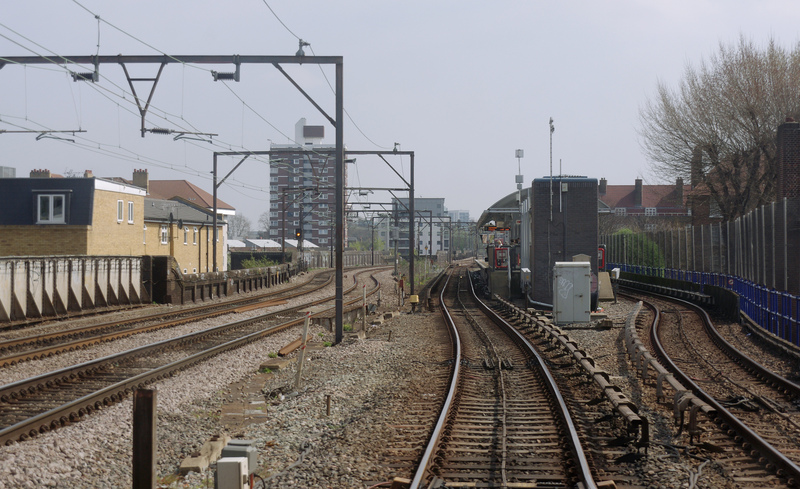 Parallel to the DLR is the Fenchurch Street commuter line. The EMU’s looked a bit more modern than back in 1980, when I spent a year reverse commuting from Camberwell to Canvey Island, where I was supervising construction of the sea wall defences. 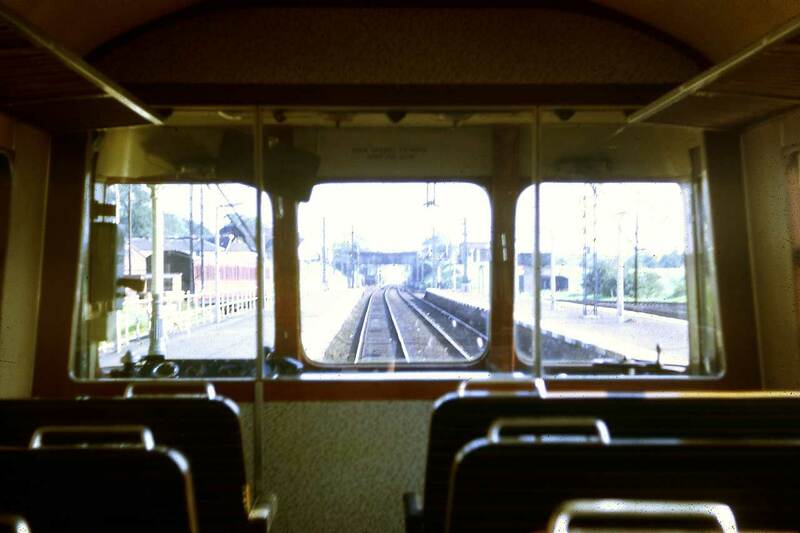 1st generation DMUs, and some EMUs like the Glasgow Blue Train, below, had a similar view, if you sat directly behind the driver. If I recall correctly, these seats were often the first class compartment, and had to be used with care, keeping and eye open for any ticket inspectors. As for the wedding, it was a fine occasion, the wedding of the youngest son of my best man of 35 years ago (and university friend). 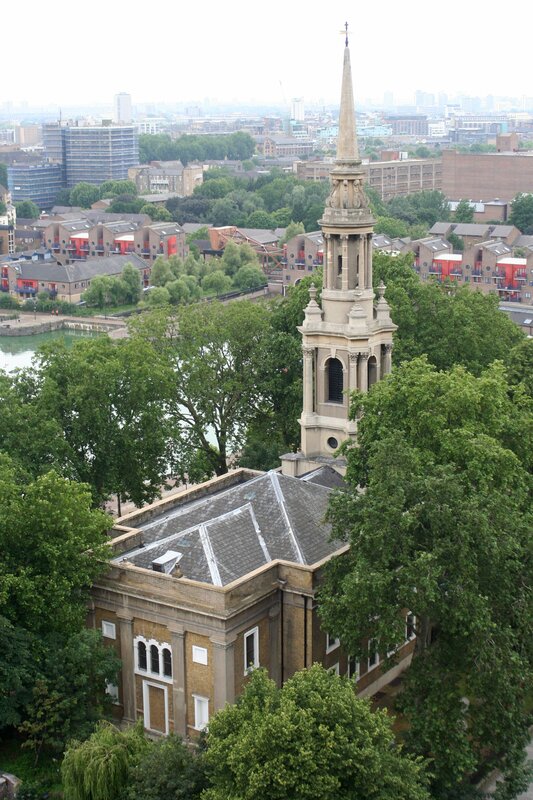 It was held in the fine Victorian church of St Paul’s Shadwell, once “the church of sea captains” as it lies just next to Shadwell Basin. It has now been renewed inside with carpet and chairs to be a bright and welcoming church building. And on the way home, Maxine and I took the opportunity to visit the ‘fields of poppies’ around the Tower of London, commemorating the First World War. A most impressive and quite moving sight. This entry was posted in Out and about, Prototype, Traction and tagged prototype, railway, traction. Bookmark the permalink.